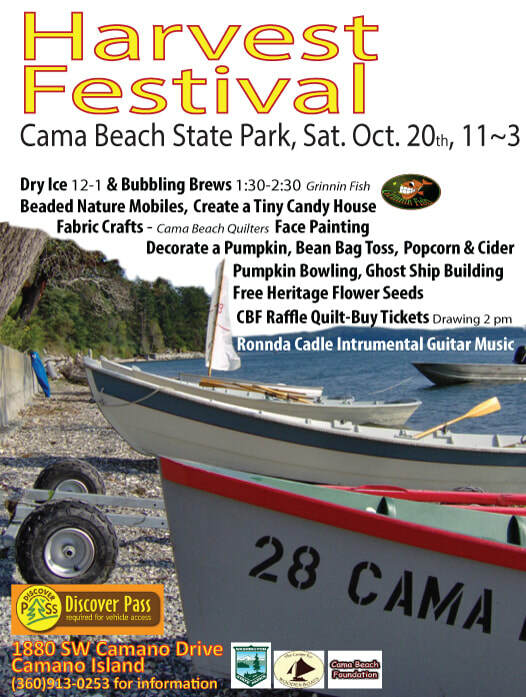 We gather at Cama Beach State Park each year in late October to celebrate the change of seasons with a day of family fun at the beach. 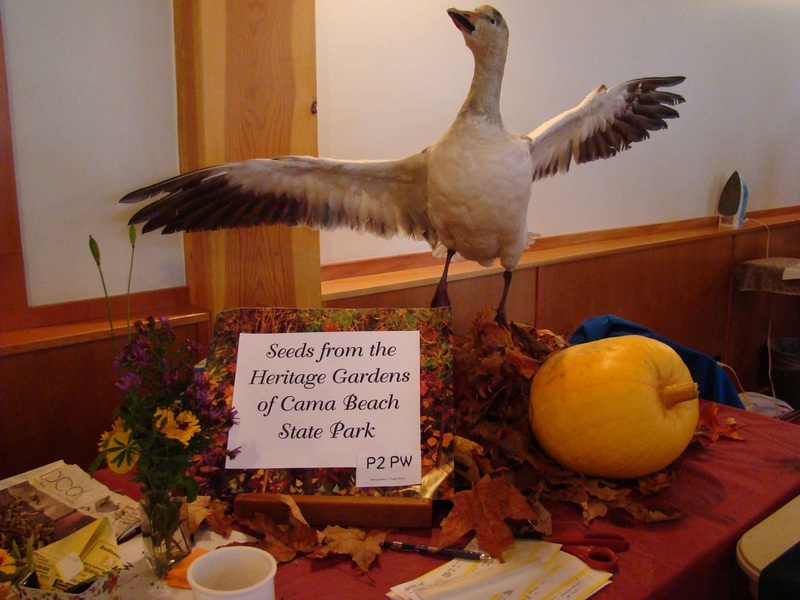 The official host is State Parks, but every partner organization at Cama gets involved. Down at beach level there will be pumpkins to decorate, fall leaves to walk through, mugs of apple cider, candy, and lots of friends to share the Halloween fun with. 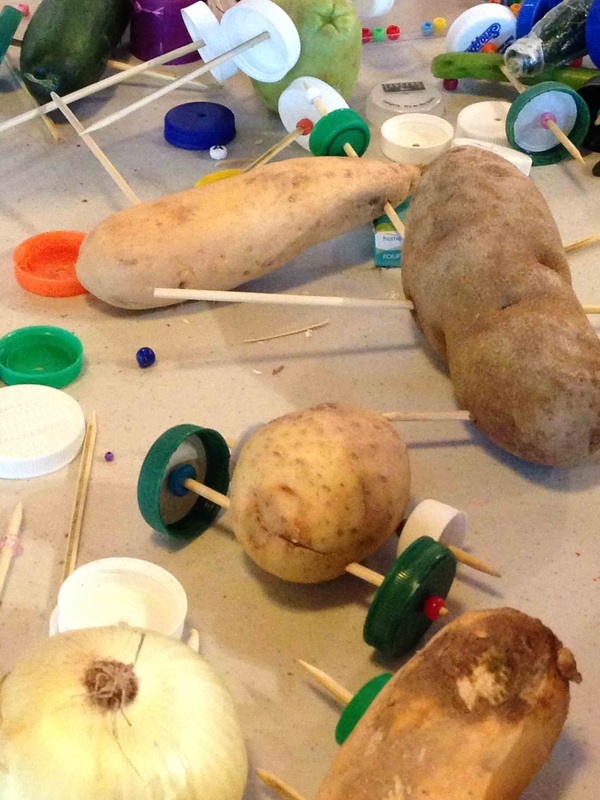 Activities at the Center for Wooden Boats boathouse will include Halloween movies, pumpkin bowling, toy ghost ship building, and a rain gutter regatta to put your toy boat through its paces. Learn about wildlife, decorate a pumpkin, toss bean bags, go pumpkin bowling, build ghost ships, and watch kid-friendly movies. At 2 PM in Cama Center, Cama Beach Foundation draws the winning ticket for the Raffle Quilt. A Discover Pass is required for parking at Cama Beach State Park (purchase a 1-day pass-$10 or an annual Discover Pass-$30 at the Cama Welcome Center). For more info, contact the park at (360) 387-1550 or www.discoverpass.wa.gov. Here are some of our favorite memories from past years.